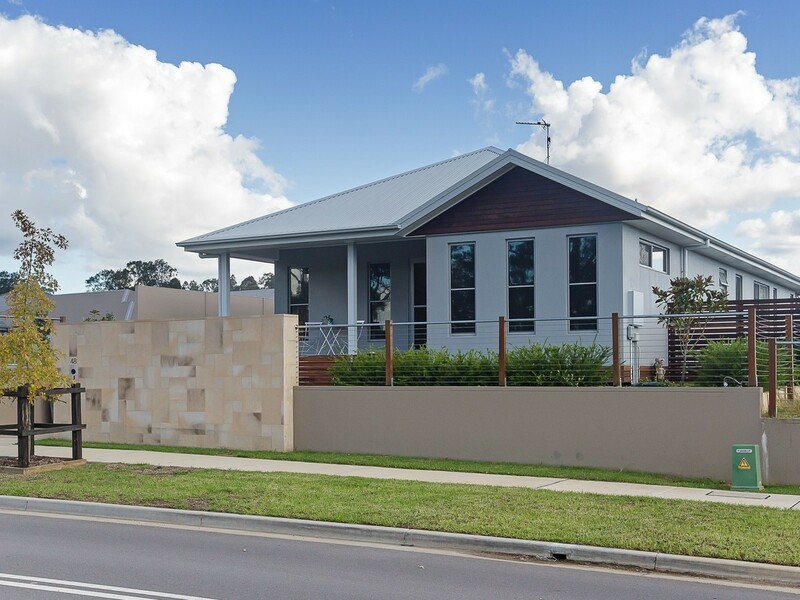 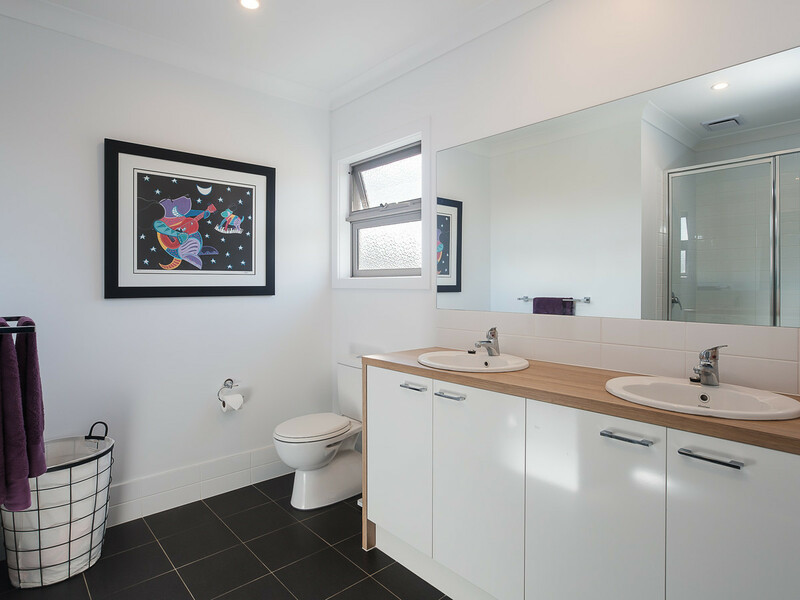 Nestled within the exciting new township of Huntlee, this almost new three bedroom home offers a sleek contemporary design with open plan living, and a low maintenance, fully-landscaped yard. 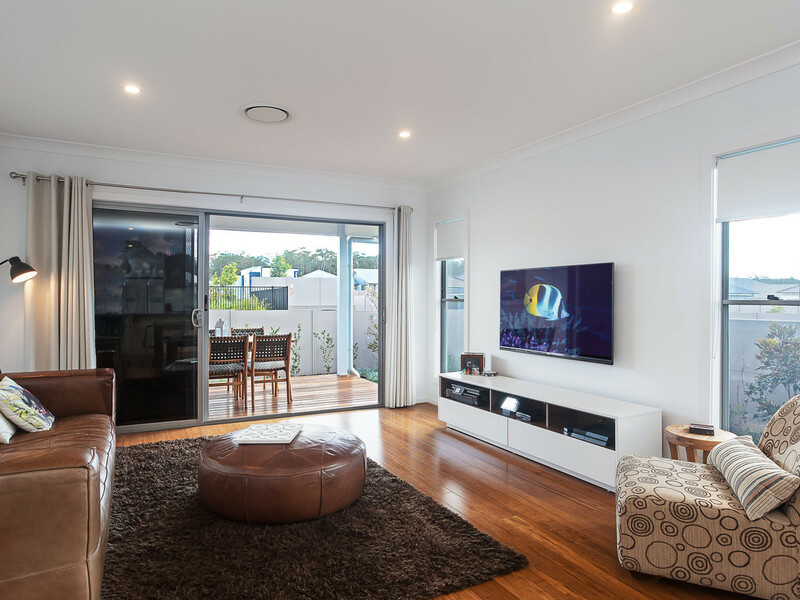 In a convenient setting, with parkland across the road and only minutes to the Expressway and soon-to-be constructed shopping facilities, schools and sporting grounds, the property has ultra-modern features making it perfect for easy-living. 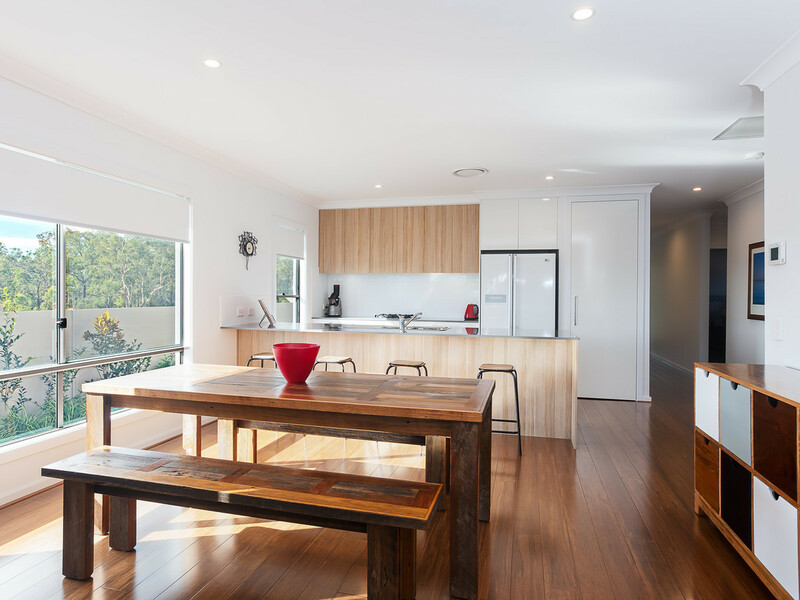 Less than one year old, the home opens to polished floorboards leading down the long hallway, to the sunlit open-plan living area and kitchen. 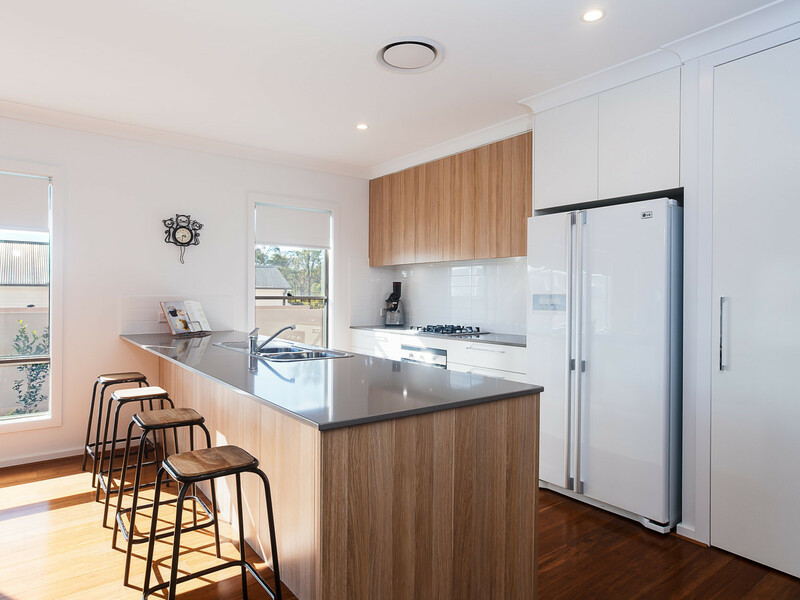 The well-equipped kitchen boasts stone benchtops, gas cooking and stainless steel appliances as well as a large walk-in pantry. 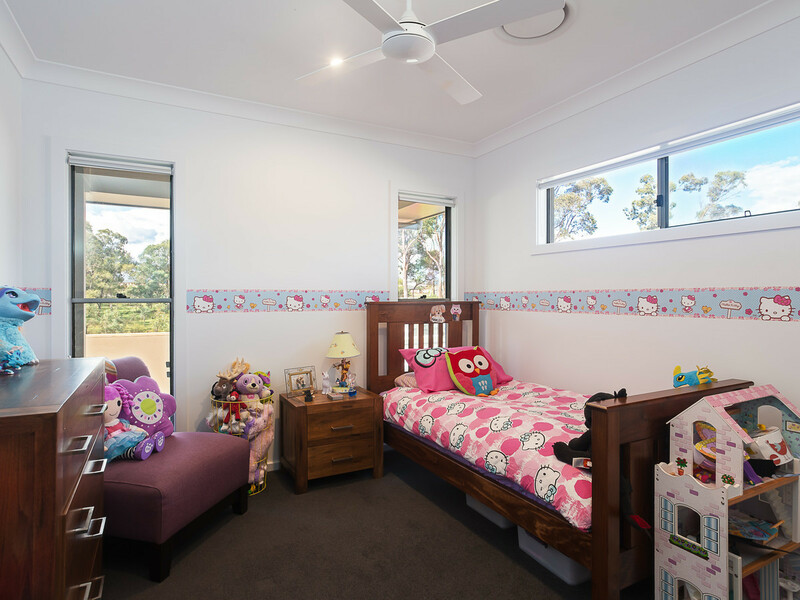 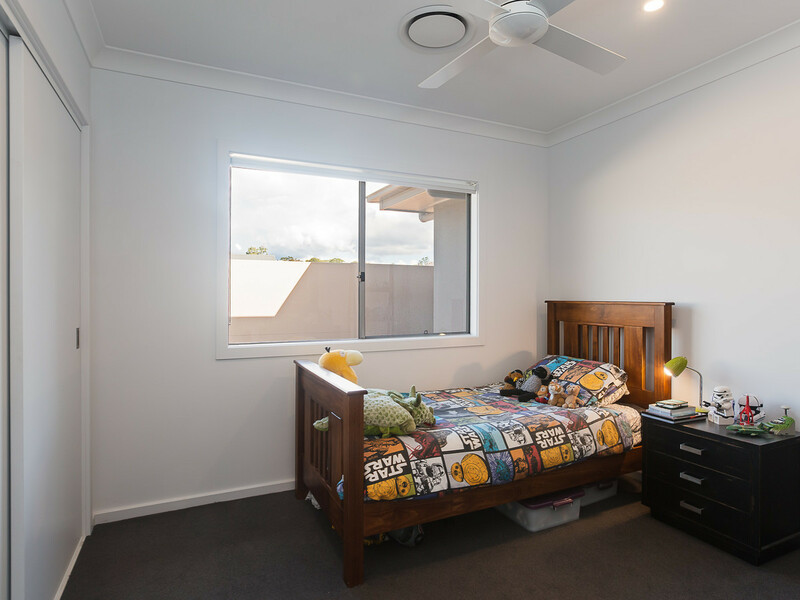 A new ducted air-conditioning system has been installed that has the option to run separate zones, as well as tinted windows in the living spaces to let the light in, but keep the heat out and offer privacy. 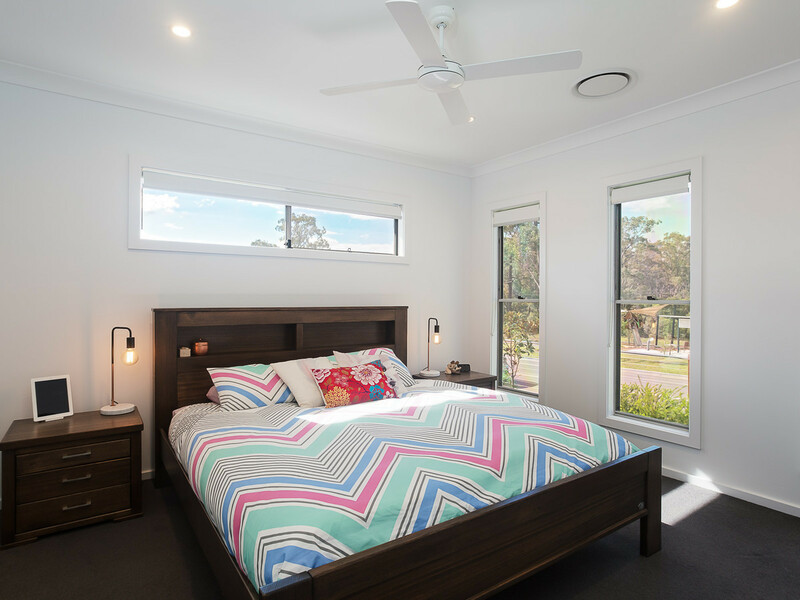 The bedrooms are all of generous proportions, with ceiling fans and robes to each and the main bedroom offers a very large walk-in robe and ensuite. 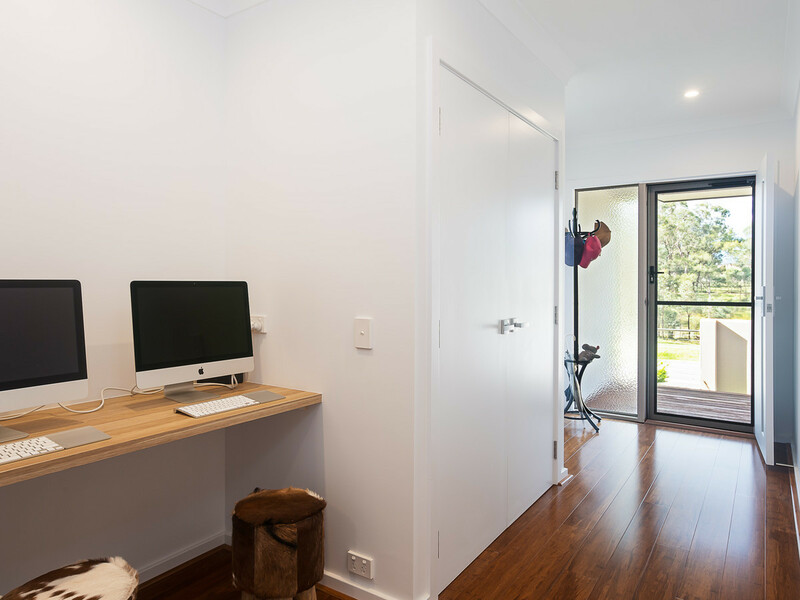 Being both practical and functional, the home makes good use of space with ample storage and a study nook within the hallway. 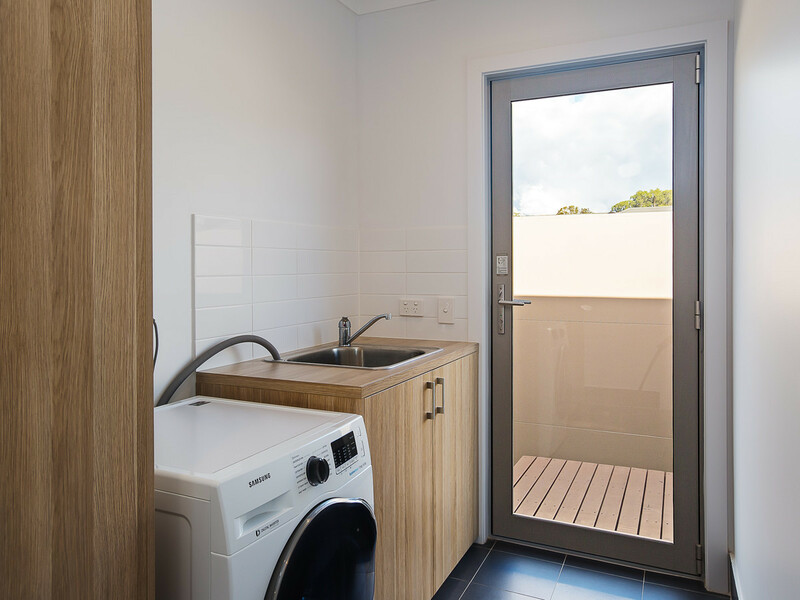 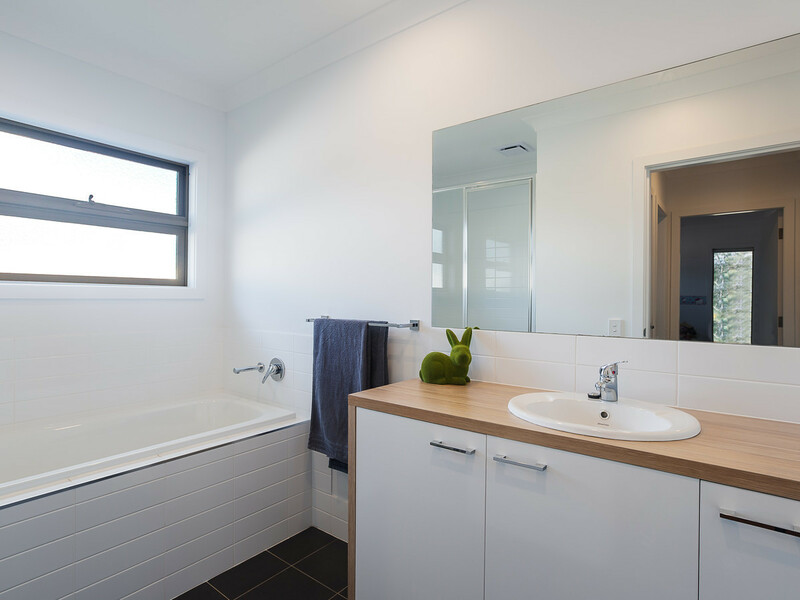 The laundry also offers built in storage and the vanity storage within each of the two bathrooms is plentiful. 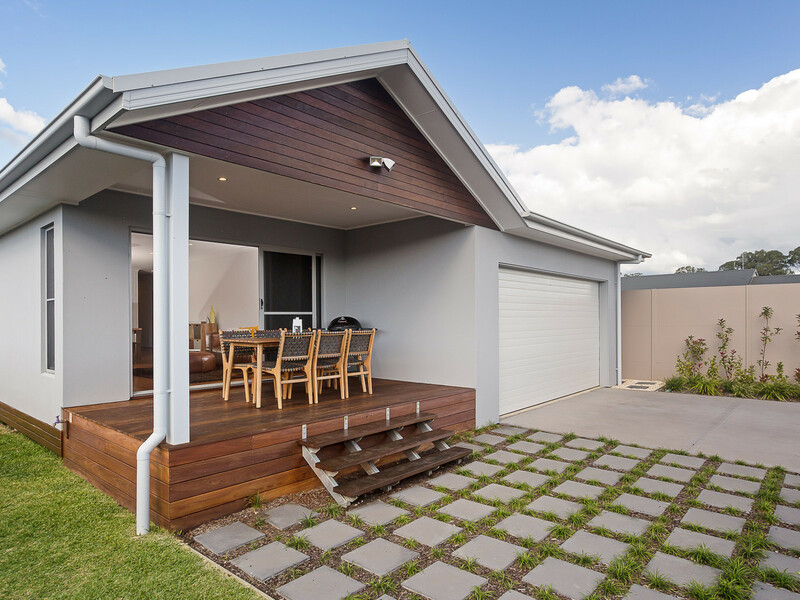 Stepping out the back sliding doors, the timber deck offers a great entertaining space looking over the landscaped yard. 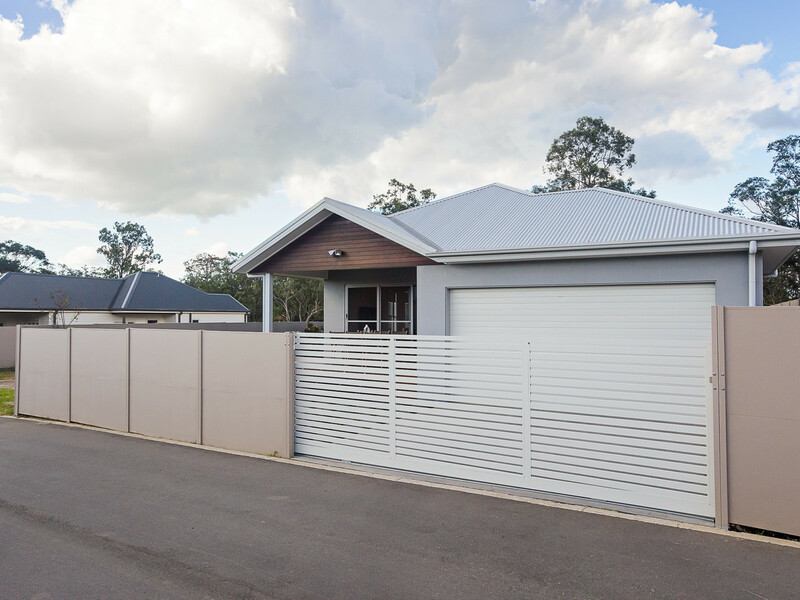 The yard is securely fenced, and for convenience there is an automatic gate on the rear lane for direct access to the double garage. 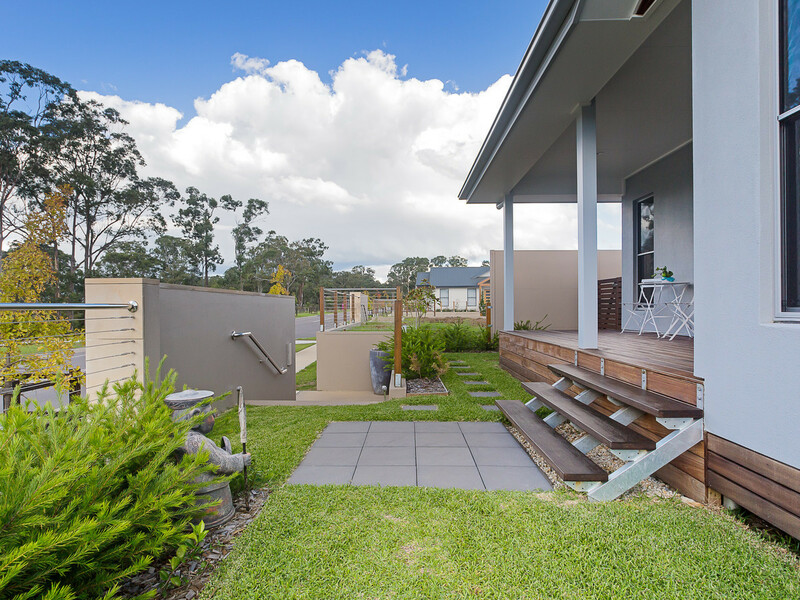 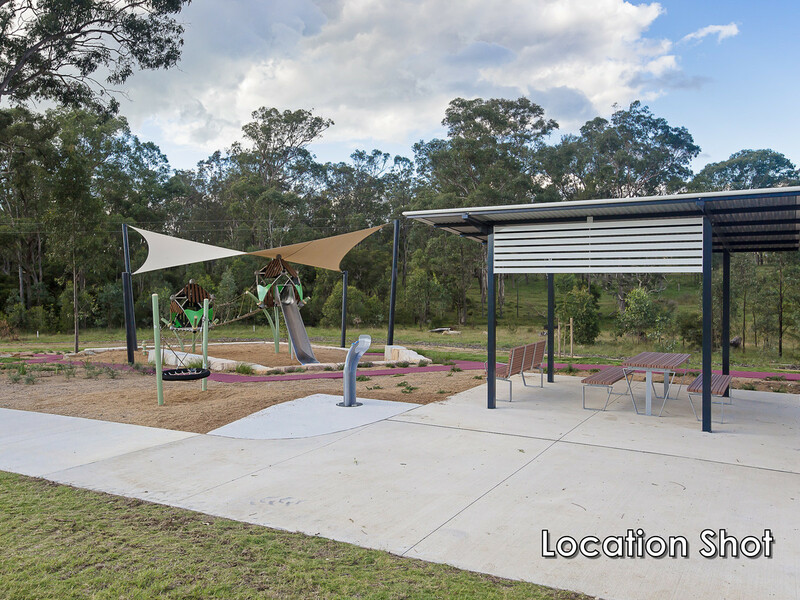 Within 10 minutes to everything the Hunter Valley wine region has to offer, this lovely home is ready to move straight in and enjoy all the new township will be soon to offer, without having to go through the hassle of building.